I’ve been on the hunt for fall seasonal mixed 12-packs. I loved the flavors of fall beer – the rich Märzens and Pumpkin Ales. Fall brew and football are the perfect weekend combination. My first fall 12-pack of the year was the 2012 Sam Adams Harvest Collection, which is Beth’s favorite. But I found three more — so here’s the first of my three-posts-in-three-days report on fall 12-packs. Easily the best thing about the fall is football. I love both college and pro football (Go ‘Noles and go Ravens! ), so I spend a lot of time watching games in the backroom beer bar. 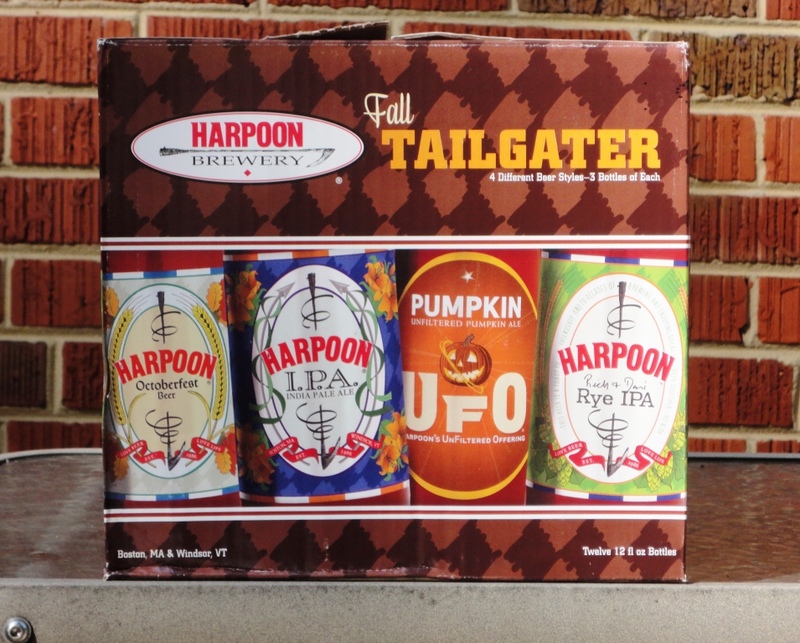 And what better 12-pack to have with a weekend of football than the Fall Tailgater from Harpoon Brewery. Octoberfest, I would love to drink this “malty tribute to fall” at one of the annual Harpoon Octoberfests held at their breweries in Boston, MA and Windsor, VT. 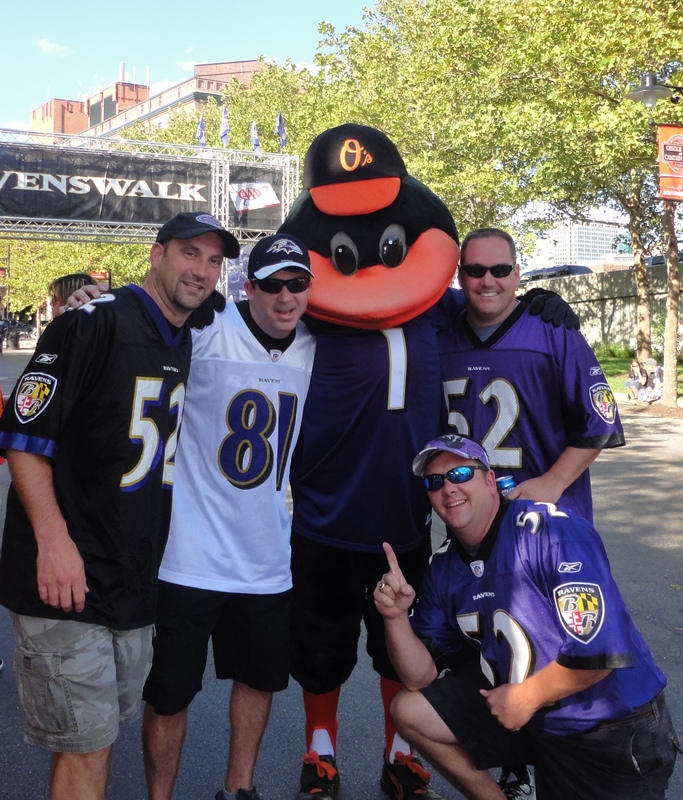 I went to the Ravens home opener this year with old friends. 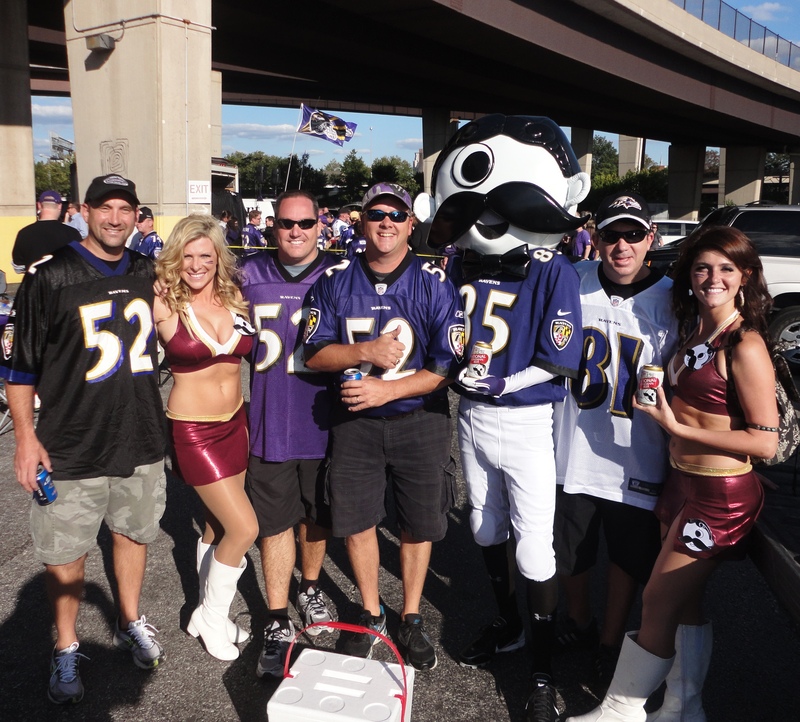 I wish I had a Harpoon Fall Tailgater 12-pack with me, but Natty Boh ain’t bad either, not when you’re tailgating in Baltimore with Mr. Boh and The Bird!